LOWER LAKE, Calif. -- The Jerusalem Fire that burned more than 25,000 acres in Lake County and the northern tip of Napa County was fully contained by Monday evening, Cal Fire officials said. The fire started around 3:30 p.m. on Aug. 9 in Jerusalem Valley north of Middletown in Lake County and destroyed six residences and 21 outbuildings, according to Cal Fire. The cause is under investigation. The fire was 100 percent contained as of 6 p.m. Monday. An engine crew will patrol the fire area monitoring conditions for the next few days, but all other fire personnel will be released or reassigned to other fires, Cal Fire officials said. It was the third wildfire in the Sonoma-Lake-Napa unit of Cal Fire in the past month. The Wragg Fire in the Lake Berryessa area of Napa County and part of Solano County burned 8,051 acres. It was reported July 22 and is believed to have started when a vehicle's emissions ignited dry grass that spread to the vehicle and nearby vegetation. 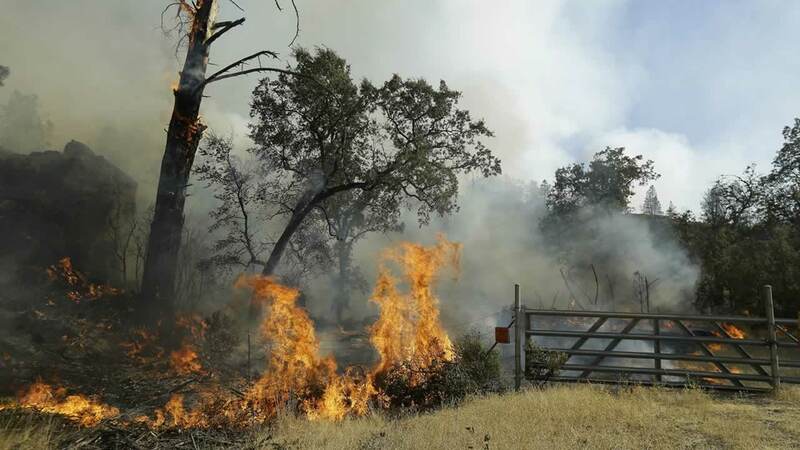 The Rocky Fire that started July 29 burned more than 69,000 acres in Lake, Yolo and Colusa counties. Cal Fire said a defective water heater likely started that blaze.